Many people rent a home these days. Often when it’s time to move on the tenancy agreement states that the carpets have to be professionally cleaned. 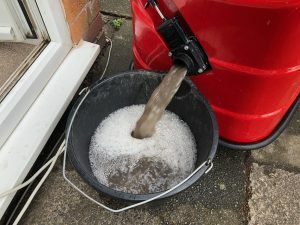 Some ‘can do’ tenants decide to try and save money by hiring a carpet cleaning machine from a supermarket or hire shop. Some even buy a cheap machine and give it a go. The idea of trying to save money cleaning a carpet yourself may sound tempting. 9 times out of 10 though the whole venture can end up costing a lot more. 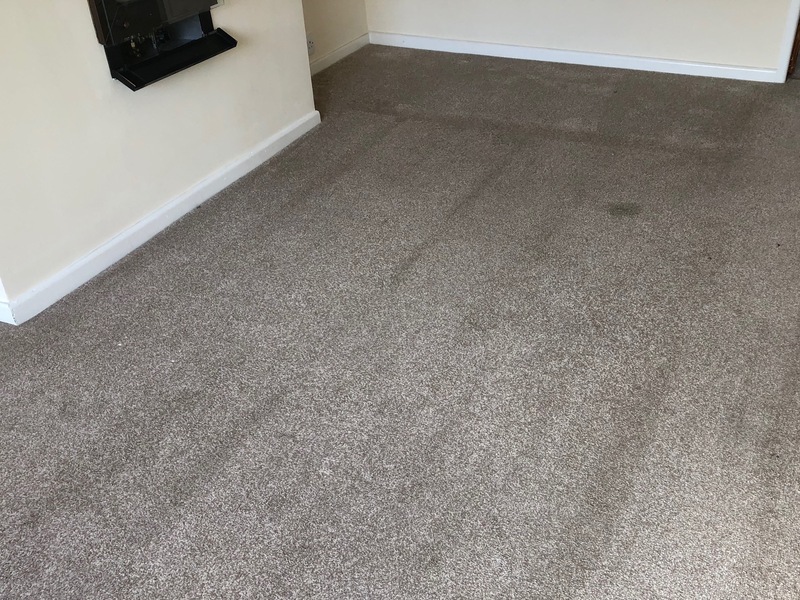 Recently Manor House Carpet & Upholstery Cleaning were contacted by a very upset Wigan landlord asking us to rescue a carpet in one of their properties. The old tenant had decided DIY carpet cleaning was a good choice, and gave it a go. The results of their efforts left a lot to be desired indeed, the carpet wasn’t just patchy with stripes it was sadly still filthy too. The first image shows the carpet before we cleaned it. The second after we cleaned it. The last image shows the colour of the water we extracted from the carpet, the amount of dirt is shocking to say the least. It just goes to show trying to save money at the end of a tenancy can become a very costly lesson indeed. This tenant not only paid for the rent of the original machine and buying the cleaning liquid. Now they also have to pay for the cost of a professional end of tenancy carpet cleaning job too. Not to mention any other costs the landlord may add to the final bill. 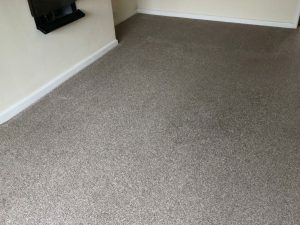 So if you need an end of tenancy carpet cleaning job done, get it done properly by a pro. Manor House Carpet & Upholstery Cleaning not only produce some of the best results but can also save you money too.